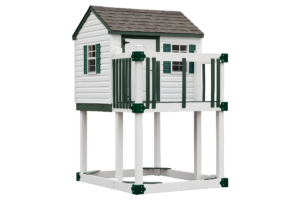 Be the king or queen of your neighborhood with the castle tower children’s playset. 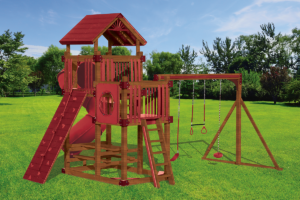 Hand-built by our authentic, skilled Amish craftsmen, these children’s playsets are made to last and will complete any kingdom. 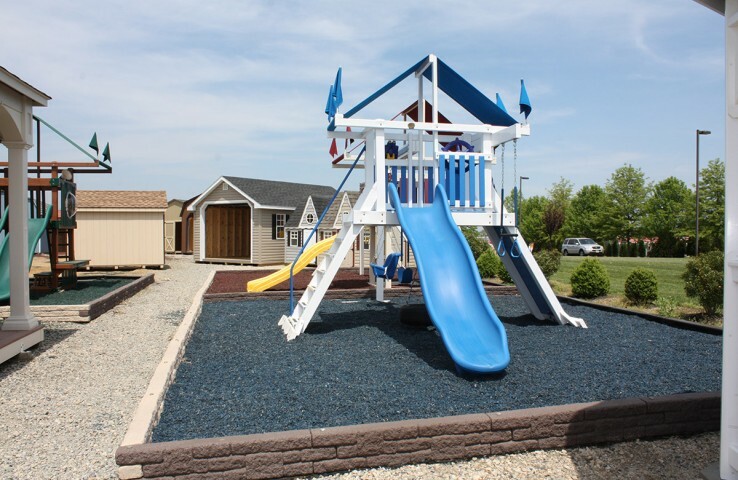 Visit us to see them in person. 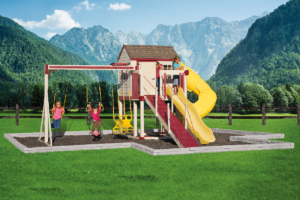 Reach the summit of fun on our Amish-built Mountain Climber children’s playset. 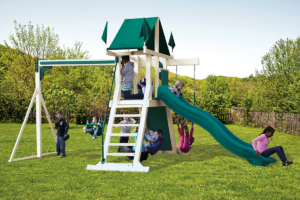 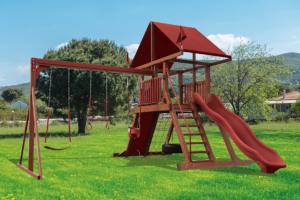 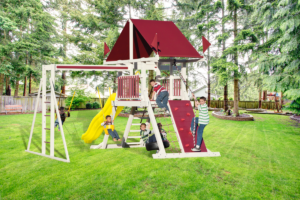 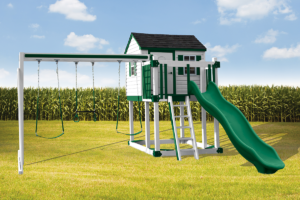 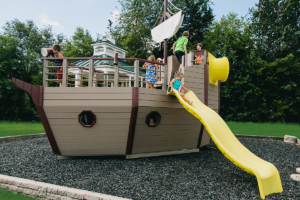 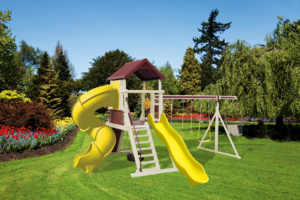 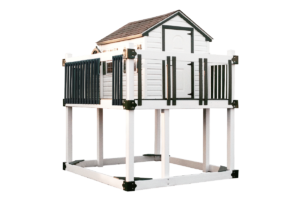 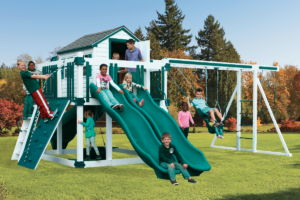 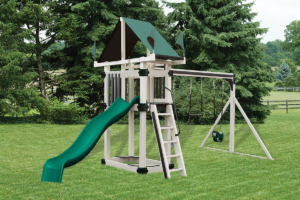 Our authentic, Amish-built children’s playsets are made for fun and able to withstand your toughest little climbers as well as whatever the elements throw at it. 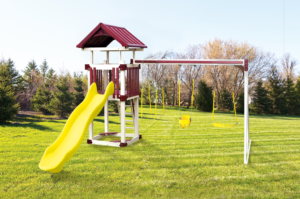 Double the fun in your backyard with our Double Tower series. 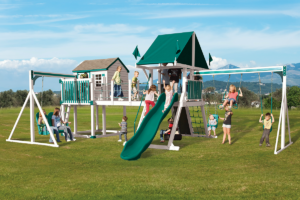 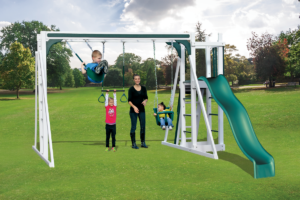 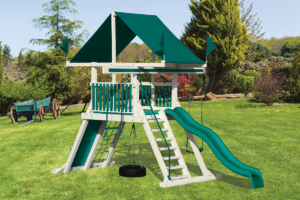 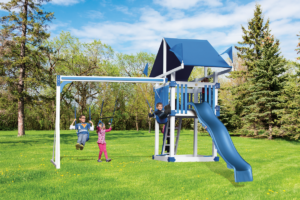 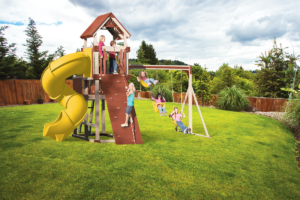 A stylish playset design with two play towers means more options for adding on the fun. 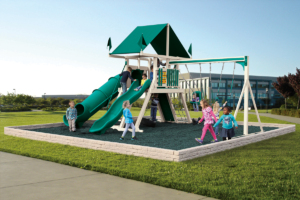 Add ramps, bridges, swings, and slides for tons of ways to play. 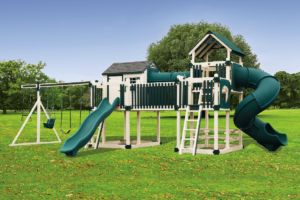 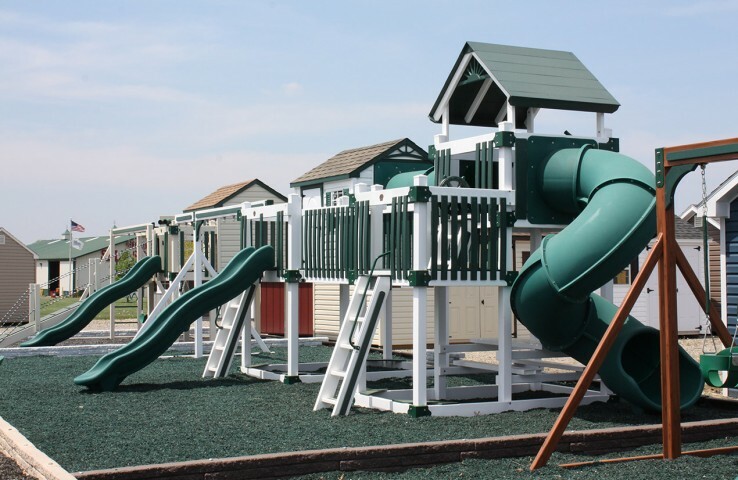 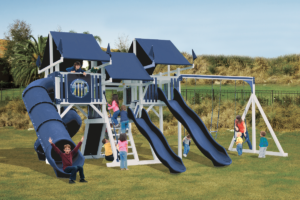 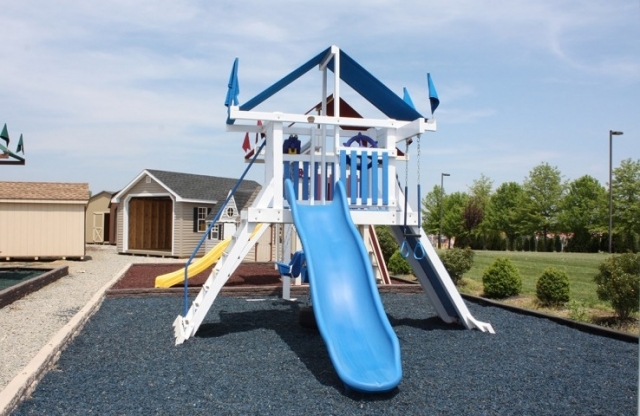 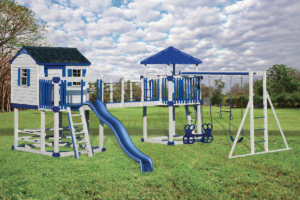 Serving parks, schools, churches, HOAs and small towns everywhere our ADA compliant commercial playsets serve to bring every child a fun, happy and safe place to play. 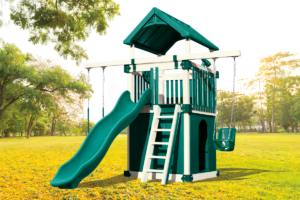 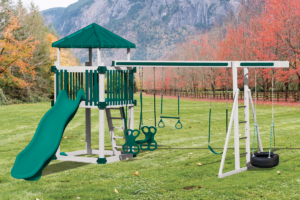 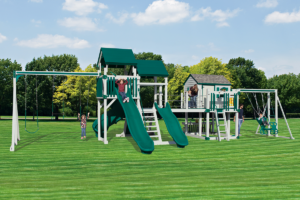 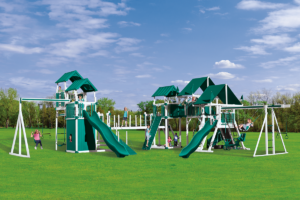 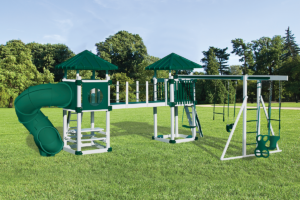 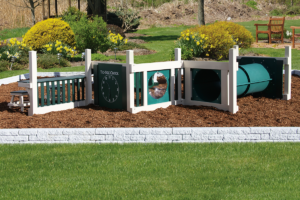 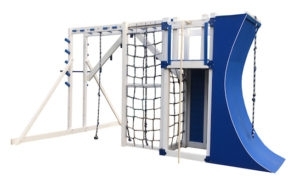 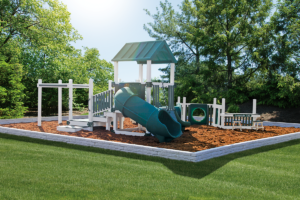 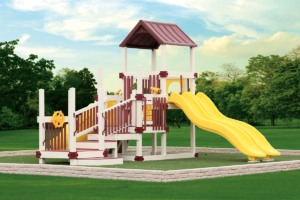 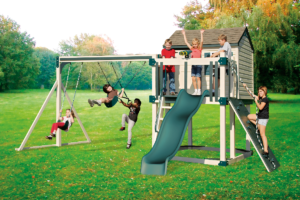 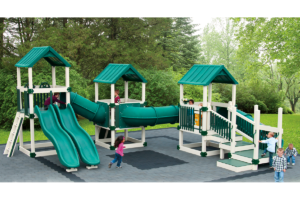 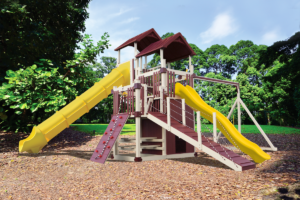 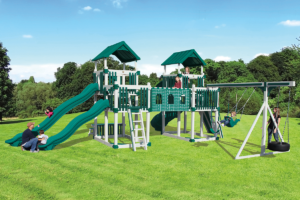 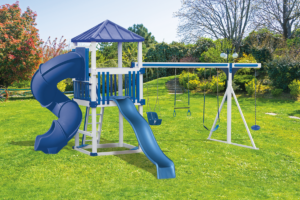 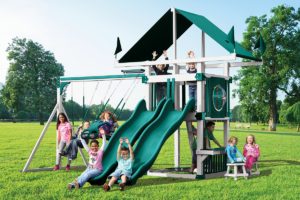 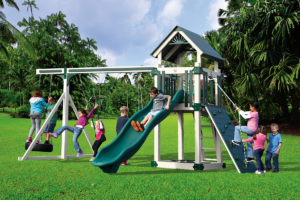 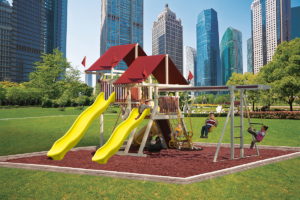 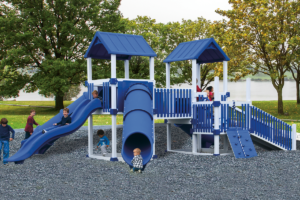 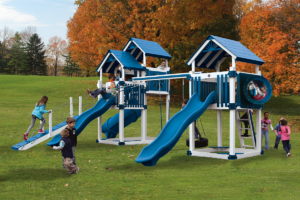 Our commercial series of playsets are the strongest, vinyl products on the market. 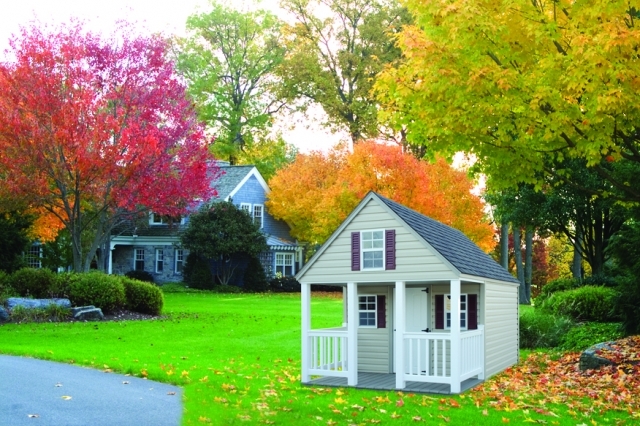 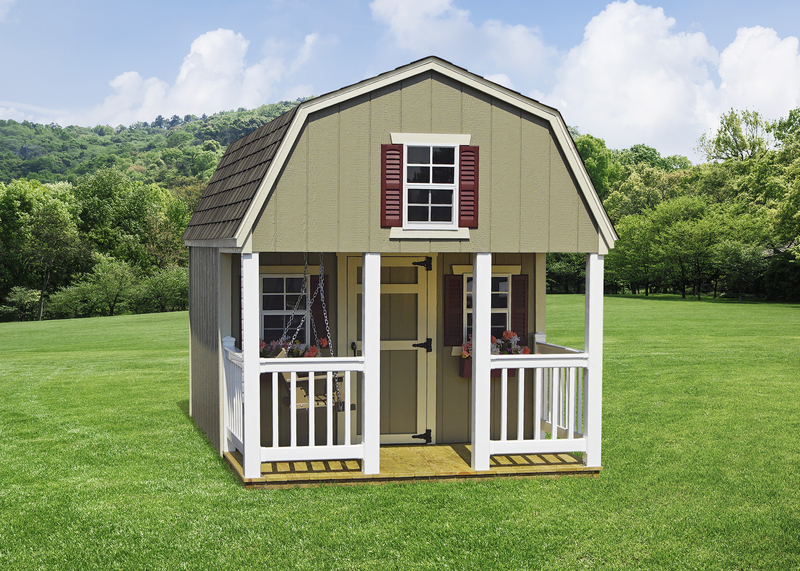 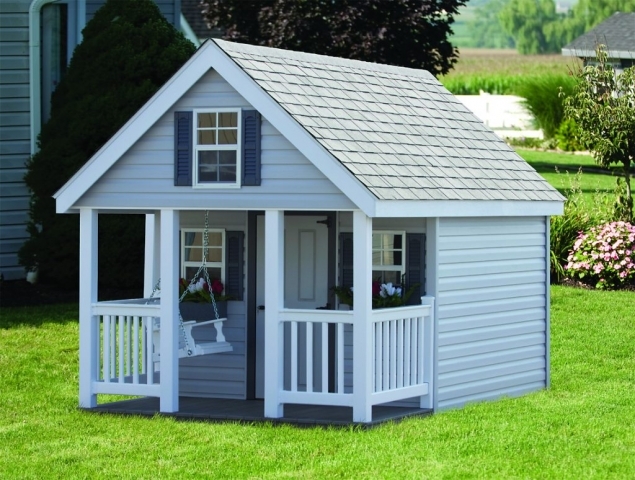 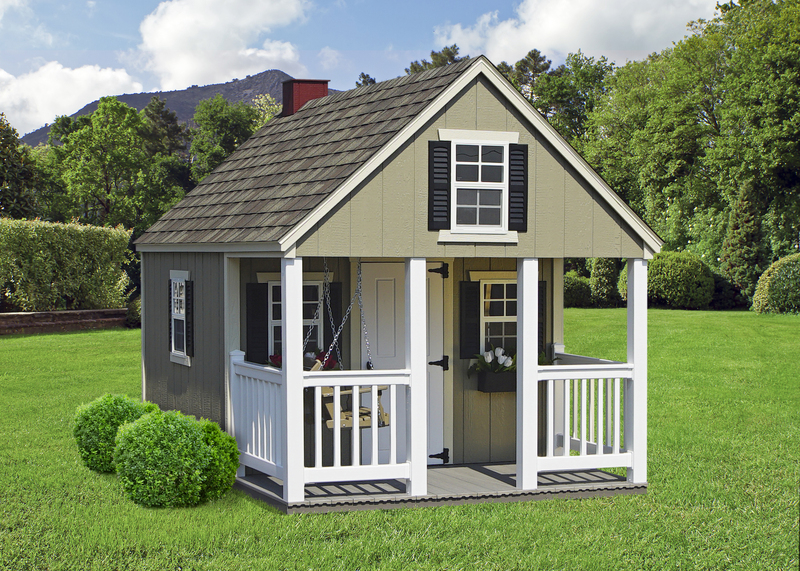 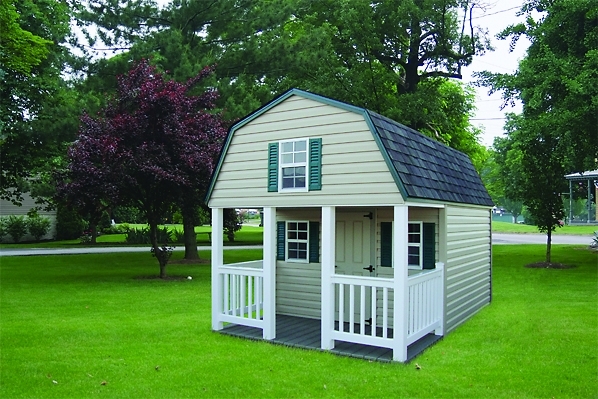 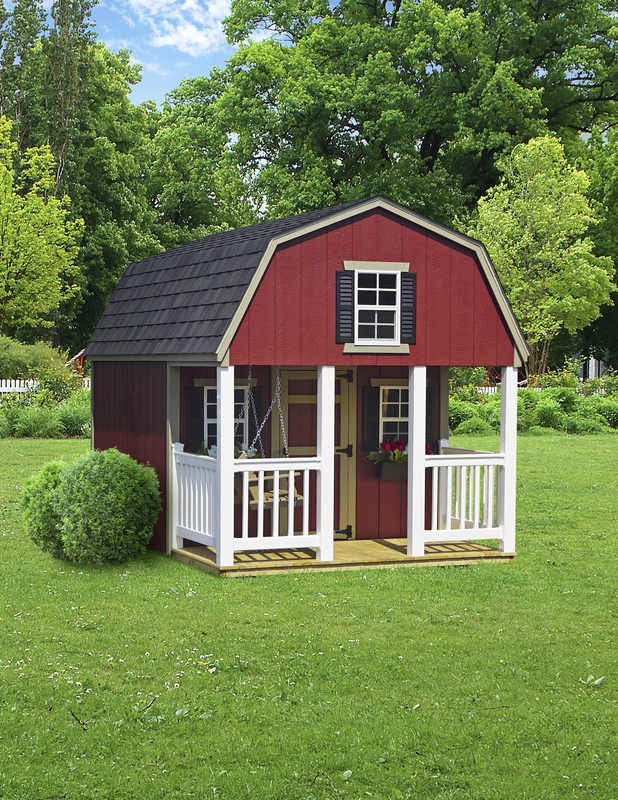 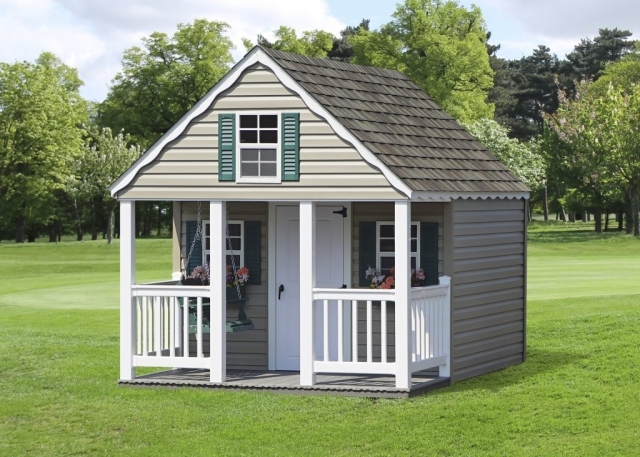 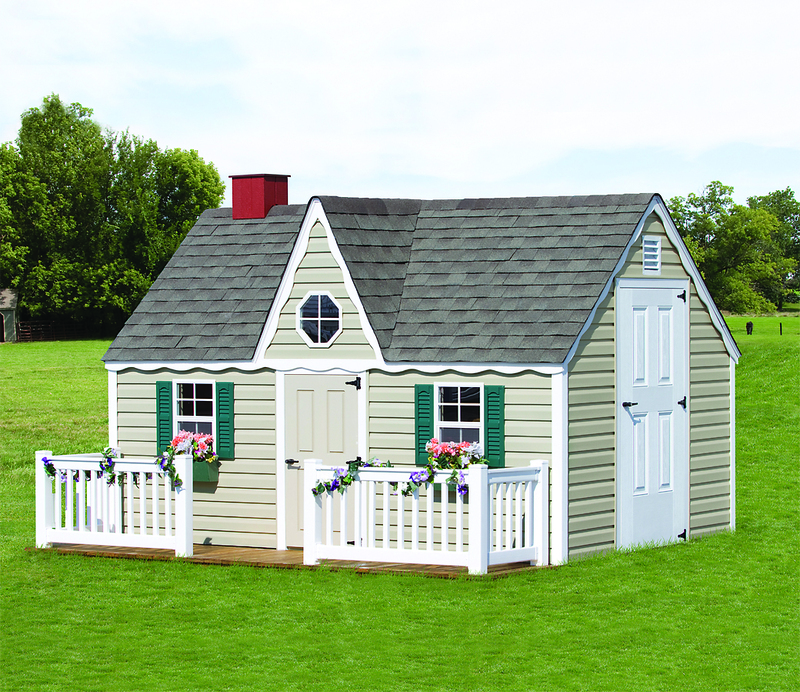 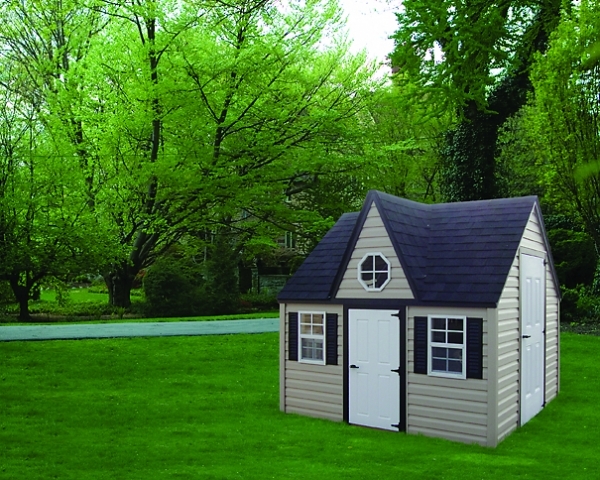 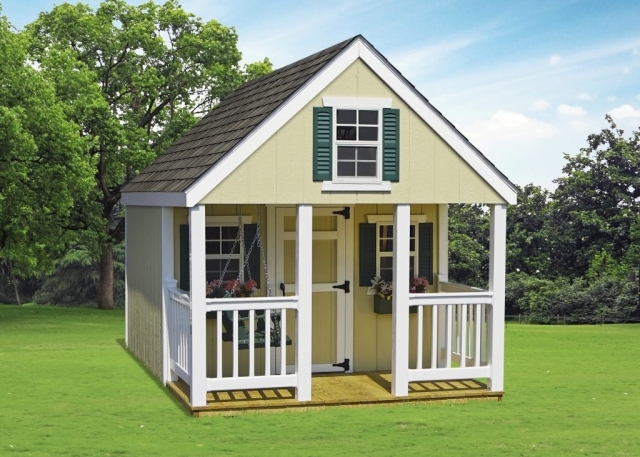 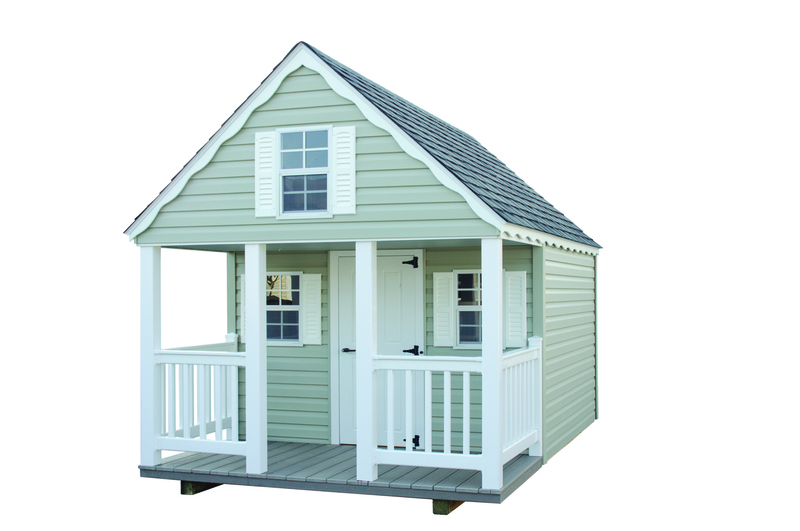 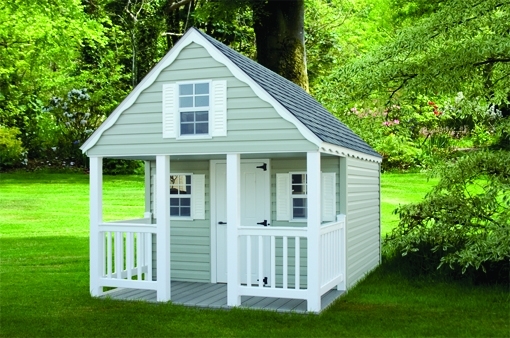 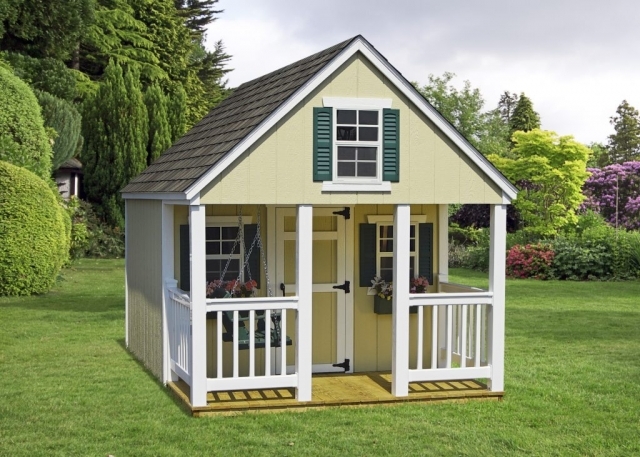 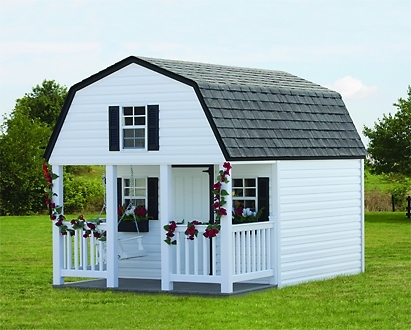 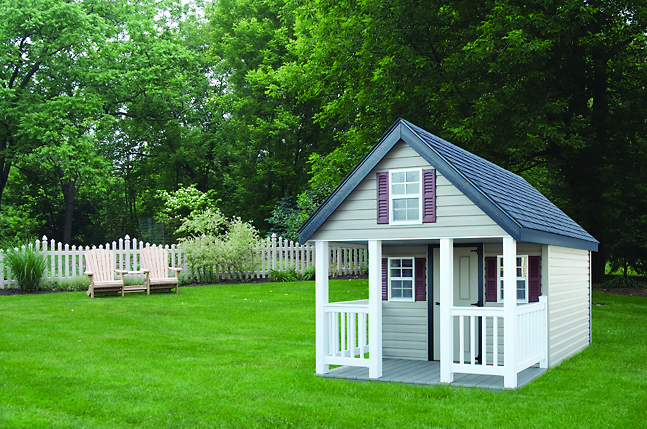 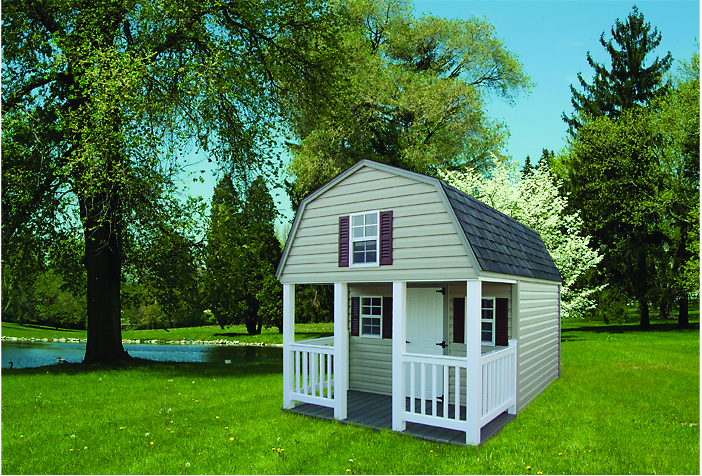 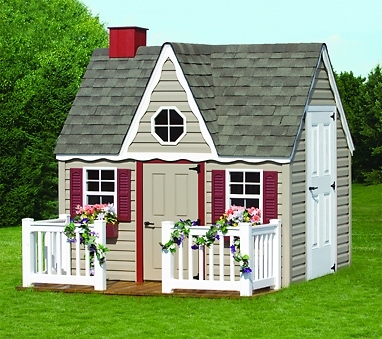 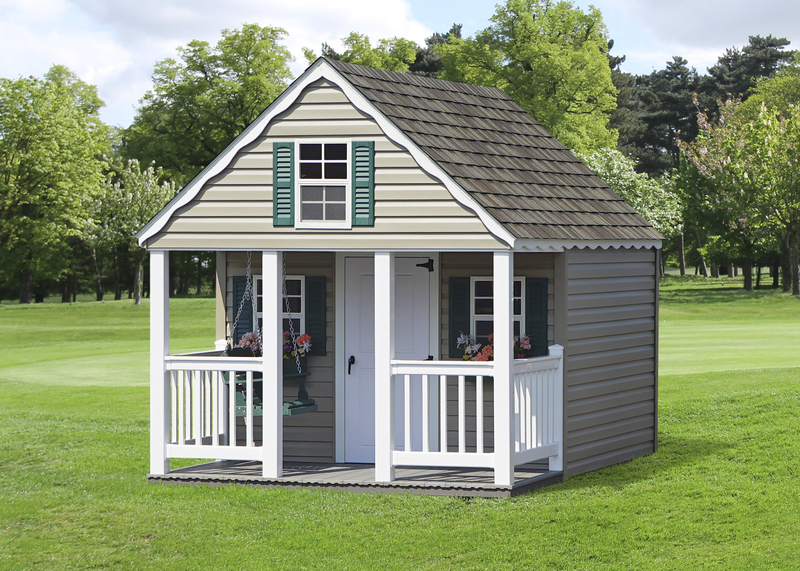 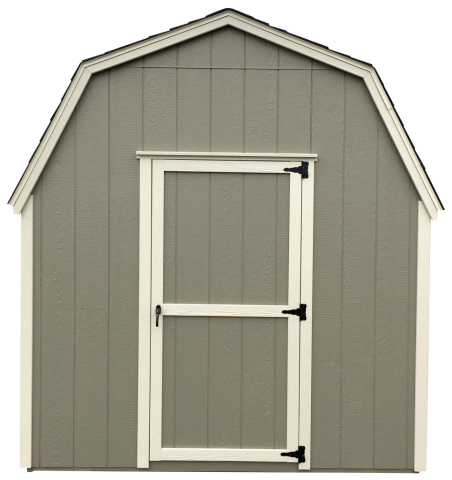 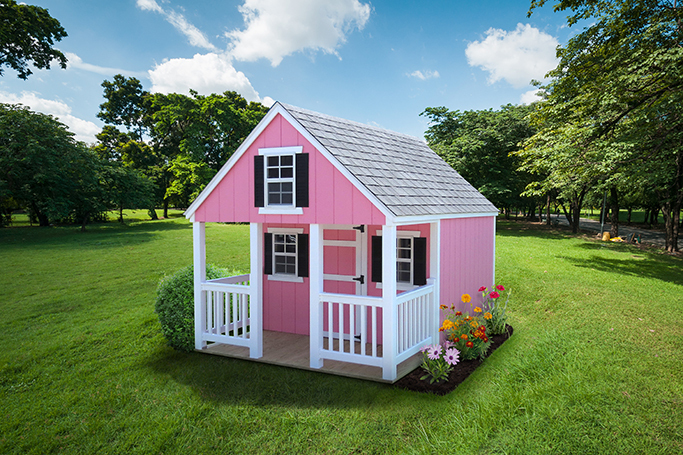 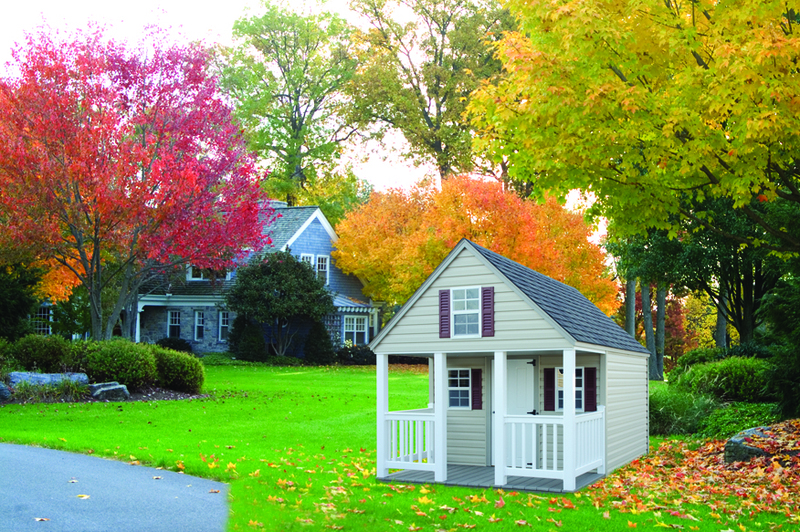 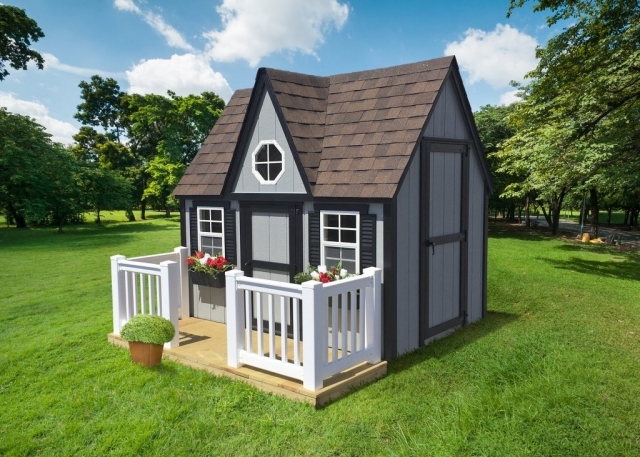 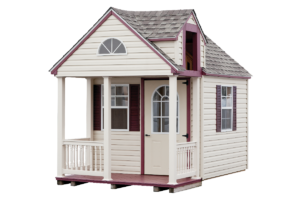 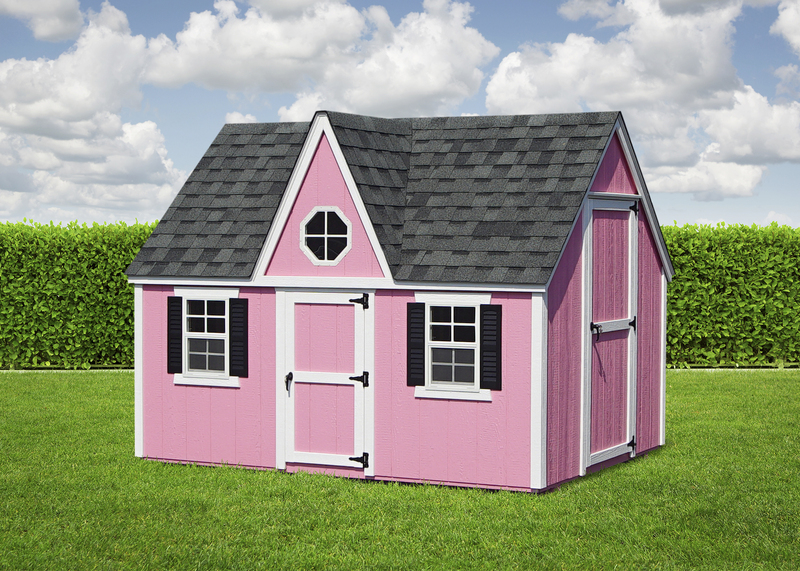 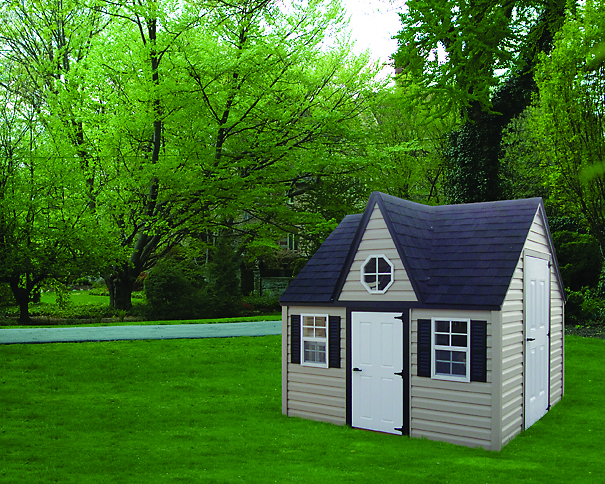 Amish Depot offers high-quality vinyl playhouses crafted to be just like real houses. 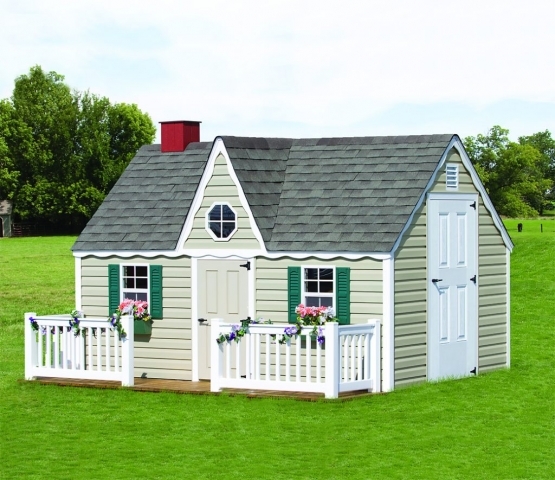 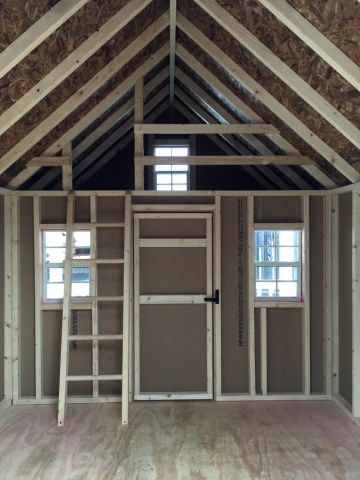 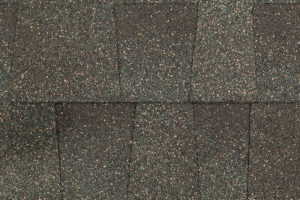 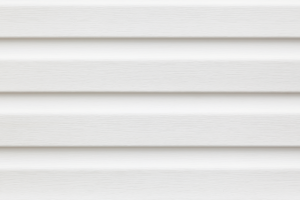 Our designs include vinyl siding, weatherwood shingles, windows with screens and shutters, and decorative doors. 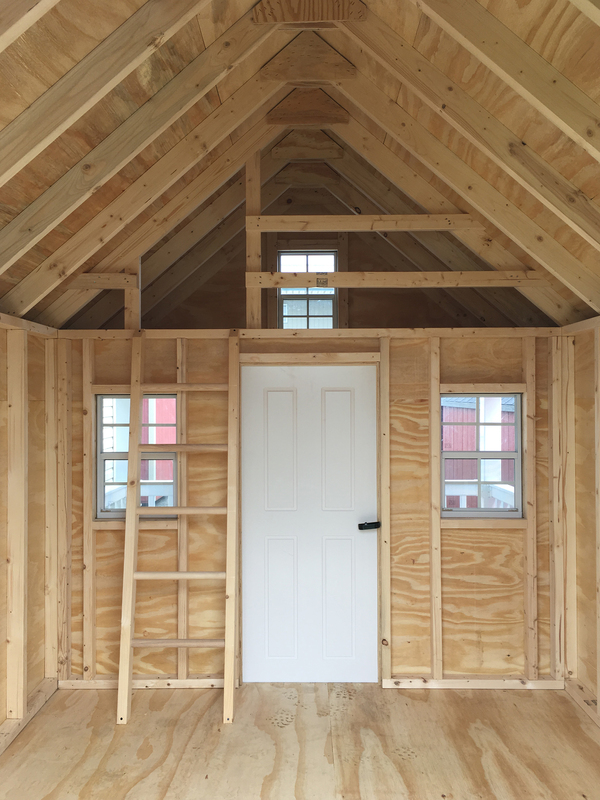 No finishing touch has been ignored. 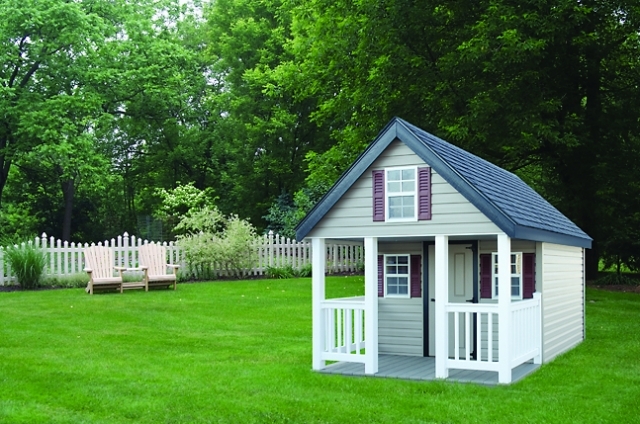 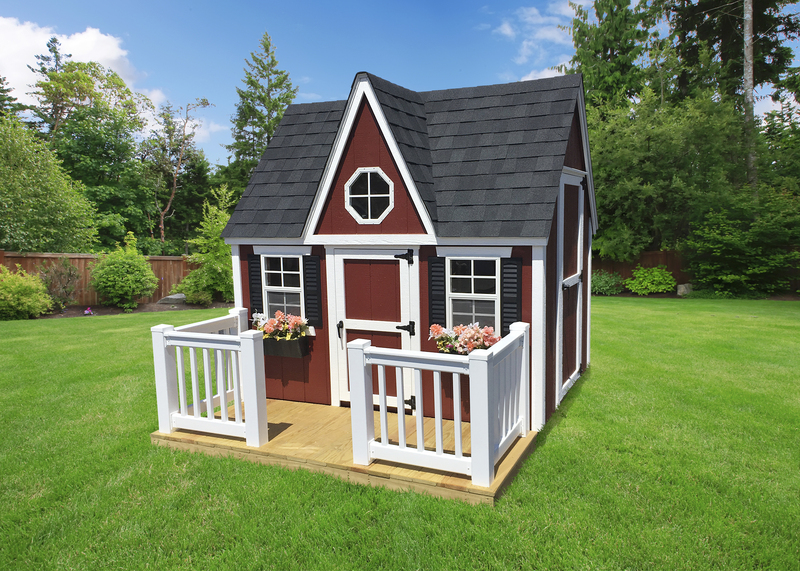 Add some fun to your backyard with these ready-built playhouses and clubhouses. 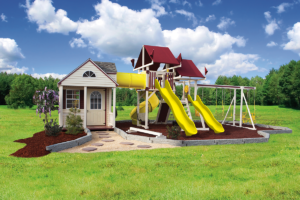 Your children will be the happiest kids on the block with their own personal mini-homes designed to create a lifetime of memories.